Southampton is a bustling area with lots of traffic and competition. 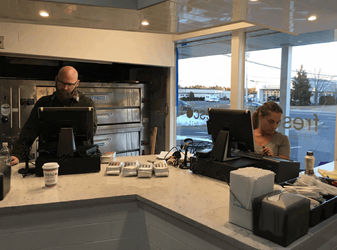 Fresco needed a complete point of sale (POS) solution that optimizes business processes from the start, freeing up staff and management’s time, streamlining day-to-day tasks, and reducing employee errors and waste with accurate inventory components. Fresco was also unique in that their system must support both food service and retail.